Camping is a fun activity, especially for those who love traveling and the outdoors! You reap a ton of benefits when exploring the great outdoors, from learning new survival skills down to the values and appreciation for your surroundings. When camping with your family or group of friends, you will want to make sure that you have the proper equipment! That's why it's best to invest in the camping essentials before planning your trip. 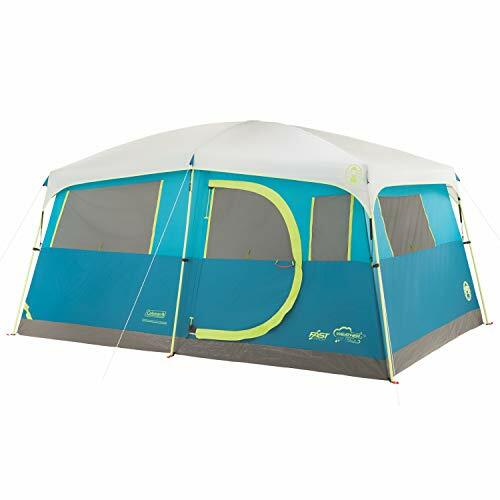 If you want you and your loved ones to camp in comfort and style, the best thing you can buy is a deluxe camping tent. Wondering which high end tents made our list? Check out our list below to see our top five picks for the best luxury camping tents you may want to check out! 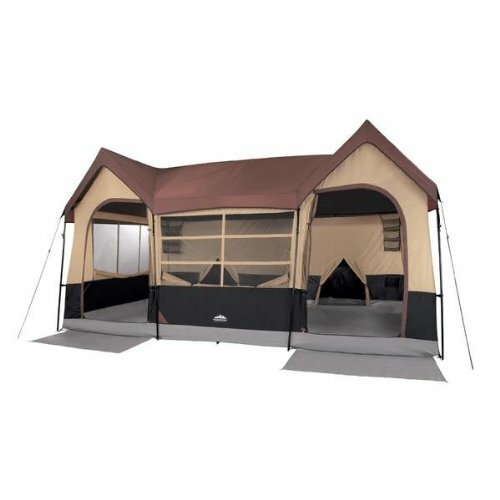 This is the most expensive tent you can find sold online. But don't be afraid of the price, as it's definitely worth every penny you pay for. It's got everything you need in a tent, which is why it's known as one of the best luxury camping tents. It can be set up in less than half an hour and can easily be taken anywhere. The tent itself can fit up to ten people with ease, coming with dividers for the rooms. It even comes with a closet to keep all your clothes and essentials! This tent is made out of quality material that keeps it waterproof and mold resistant, perfect for just about any weather condition or camping site. It's very easy to set up, taking less than an hour. You can assemble and pack it away with ease! It has a mosquito screen during those hot summer nights, so you get to sleep in comfort and while maintaining clean air ventilation. 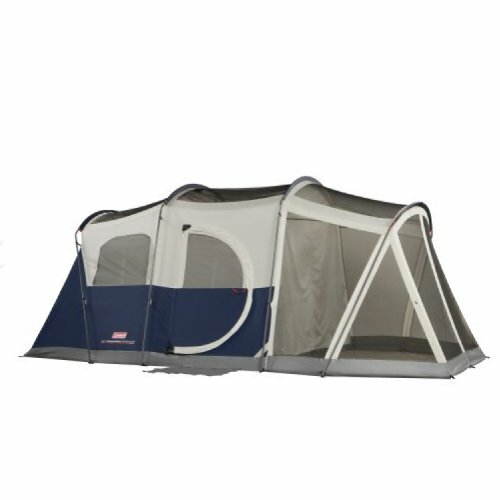 This tent can fit two queen sized beds and can sleep up to eight kids. It also comes with a stove jack so you can cook in it! It's called instant because of the fact that you can set it up and pack away in less than half an hour. Considering that it's a huge tent that fits up to twelve people, that's pretty amazing. You can fit three queen sized beds and can set up dividers to split it between three separate rooms. It has separate doors and seven windows for privacy and air ventilation, so you'll be able to rest and sleep in peace. The material itself can withstand all four seasons so whether it is rainy or sunny you will be protected. 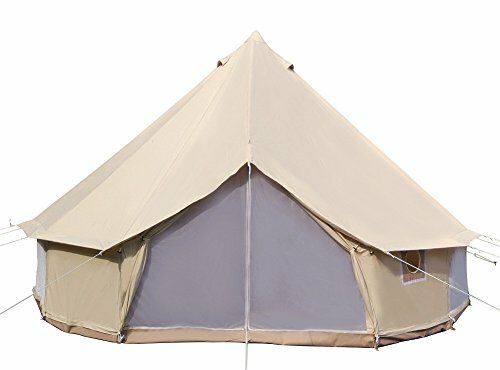 This tent comes with a built-in closet with shelves and a hanger bar. That way, you'll be able to easily sort your clothes and other essentials with ease. It is made of material that can withstand rain or shine, so you can use it anytime without feeling any discomfort. You can also set it up within 10 minutes! Up to eight people can sleep comfortably, and you can use the tent dividers to make three rooms. Often times, tents this large can be a pain to lug around. But Coleman includes a wheeled carry bag to make it easier to bring around. There is a screen room included so you can enjoy the sun and wind without worrying about pesky mosquitos and other bugs. There is also an illuminated wall switch that lights up your tent so you won't need to use up your flashlight's battery. It is made out of strong material with a WeatherTec system to keep water out since you never know when the next rain storm is going to hit your campsite. Up to six people can sleep inside the tent and still have extra room to move around. As far as partitioning it, you can expand it to three rooms or choose to have one whole room for comfort. Tents are an essential part of camping outdoors and you should get one that gives you the luxury of sleeping soundly and safely. There are many expensive tents available, but their prices are definitely worth it. These luxury camping tents have everything you need in order to enjoy the outdoors without the cramped space or bug bites. Hopefully, these reviews on the best luxury camping tents will have helped you take your pick. So what are you waiting for? Invest on the best for your camping needs and get the luxury camping tents for you and your family today. We built OutdoorAuthority after searching for honest and valuable reviews online and coming up short. Every day we strive to bring you informed reviews and recommendations so that you can make your next outdoor purchase with confidence. I hope that you can learn a little while you are here with us and that your next purchase is better because you joined us today. Every time you make a purchase through one of our affiliate links we earn a commission that helps keep this website running. Here are more details about how we work. Paul runs the Outdoor and Camping section of OutdoorAuthority. When he isn't trekking through the beautiful Pacific Northwest, you can find him reviewing products and writing how-to guides to make your next adventure easier and more fun.